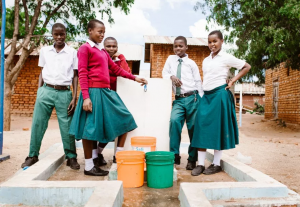 Eva Tolage, a young campaigner from Tanzania, launched Stand With Eva back in February 2015 and since then has been campaigning locally and nationally to get a clean supply of water for her community and school. Now, just over a year since Eva launched her campaign, a new water tap has been installed near her school. This incredible news shows the power of one young leader’s vision to change her community, and how she got supporters around the world, even Barack Obama, to back her. And there are millions more like Eva using their Youth Power to create change in their communities.